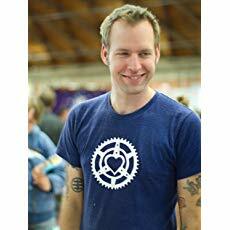 Tim Applegate is the author of three poetry collections–At the End of Day (Traprock Books), Drydock (Blue Cubicle Press), and Blueprints (Turnstone Books of Oregon). 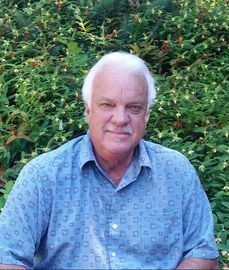 Born in Georgia and raised in Indiana, ​ Tim has lived in Boston, Sarasota, Florida, and for the last twenty-four years on two acres in the foothills of the coastal range of western Oregon where he owned and operated a commercial contracting business specializing in furniture and wood restoration for the hotel and cruise ship industries. He is the author of the novels Fever Tree (Amberjack Publishing) and the recently released Flamingo Lane (Amberjack Publishing). You can visit his website at timapplegate.net. Ed Battistella: Tell us about your recently released novel Flamingo Lane and your series The Yucatan Quartet. 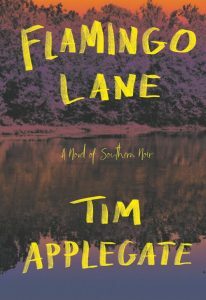 Tim Applegate: In my new novel Flamingo Lane, to pay off an exorbitant gambling debt to the ruthless Mexican drug lord Pablo Mestival, an expat named Chance agrees to locate – and possibly eliminate – Mestival’s former lover Faye Lindstrom, who has fled Mexico and returned to her hometown. Like the other books in the Yucatan Quartet, Flamingo Lane is a standalone novel that explores the classic noir themes of greed, betrayal, and revenge. EB: You are a writer of Southern noir? How is Southern noir different from other noir styles? 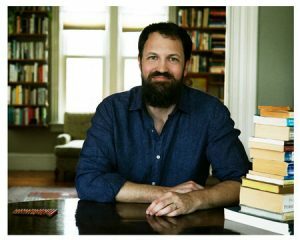 TA: Southern noir novels, exemplified by writers like Ron Rash in North Carolina and Tom Franklin in Mississippi, are often set in rural or small-town locales, and tend to feature poor or working-class characters. That said, the major elements of traditional noir – a money trail, a femme (or in many cases these days) a male fatale, a dupe – remain firmly in place. EB: When did you first begin writing? Have you always been a writer? TA: I began writing poetry and short fiction in high school and never really stopped. It’s been a long and sometimes difficult journey, but I can’t imagine what else I would have done with my time. EB: What is your writing day like? TA: I’m usually planted in front of my keyboard by 7 a.m. And I generally write/edit/revise for the next three or four hours. Of course when you’re working on a novel the story stays with you 24 hours a day, so sometimes in the afternoons I go back to the keyboard to add notes, ideas, descriptions. It’s a bit obsessive really, but there are far worse obsessions than writing books about crimes. Like committing those crimes! EB: It’s poetry month and you have also published several collections on poetry. What does poetry mean to you? TA: That’s an interesting question. For me, writing poetry is a way to slow the world down and focus in on something specific, a canoe trip with one of my daughters or the funeral of a friend or a memory of how cornfields looked on summer mornings in Indiana when I was a boy. It’s a way to slow down, take a deep breath, and rediscover what counts. EB: Who are some of your poetic influences? EB: Can you tell us a little bit about the rest of The Yucatan Quartet? TA: The Yucatan Quartet chronicles the lives of a group of expats who meet in a village in the Yucatan in the 1970s. Over the years, their lives continue to intersect because of certain unfortunate incidents that took place back in Mexico. Like all noir, the books go to some dark places. But there are glimmers of hope and redemption too, a faint light at the end of a long, scary tunnel. EB: Good luck with you new book, Flamingo Lane. Thanks for talking with us. 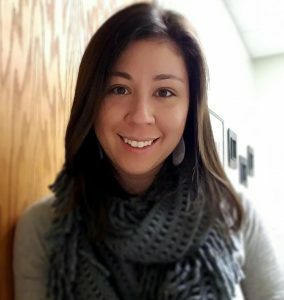 Christina Ward is an award-winning writer and editor. 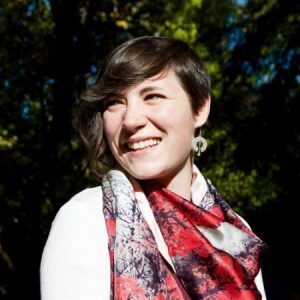 She is a featured contributor to Serious Eats, Edible Milwaukee, The Milwaukee Journal/Sentinel, Remedy Quarterly, and Runcible Spoon magazines. 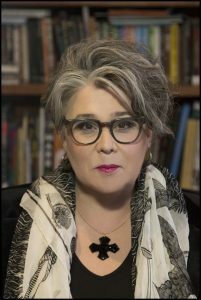 She makes regular guest food expert on television and public radio and in 2017 published Preservation: The Art and Science of Canning, Fermentation and Dehydration with Process Media, Inc. 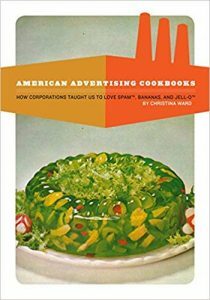 Her second book, American Advertising Cookbooks: How Corporations Taught Us To Love, Spam, Bananas, and Jell-O was released in January of 2019. Ed Battistella: Congratulations on American Advertising Cookbooks, which I am really enjoying. How did you get interested in the history of promotional cookbooks? Christina Ward: I’m the Master Food Preserver for my county; which means that I’m charged by the State to teach the most up to date scientifically proven methods of food preservation. I’m also a book collector with a love of history. All my interests began to converge during the research of my first book, Preservation-The Art and Science of Canning, Fermentation, and Dehydration. My research into the history of preserving food leads me to the very interesting (to me at least—and now I hope readers!) place in American history where technology, food, immigration, and marketing all came together to create and define American cuisine. Promotional cookbooks represent the culmination of all those influences in a neat, garishly printed booklet. EB: I was also fascinated by the role of home economics. What’s the story there? How did education and domestic science affect taste-making? CW: The birth of Home Economics was a tangent of the Suffragette movement of the late 1800s that was, interestingly, heavily influenced by a very conservative cultural Protestantism. The women who advocated for equality made the case that the “domestic sciences” were of the same value as chemistry or biology. In an age where there was just the barest of understanding of food science and where women were barred from studying in universities, domestic science became a way for women to become both educated and independent. Because the curricula were developed by a small group of foremothers who agreed on techniques and recipes for the most nutritional cooking, a sameness was spread across the country. At the same time, printing technologies advanced to allow for cheap and accessible books. Any home economist worth her salt and with a smidge of regional fame soon wrote a cookbook. This too helped spread recipes and ideas about what a “proper” cook should be doing in the kitchen. EB: A lot of the food you mention I recalled from my youth, but I totally missed ham banana rolls. Can you explain the rise of bananas. CW: Bananas tell a great story. They’re a relatively “new” food and wholly brought to consciousness by advertising. All food processing companies in the 1930s hired the newly minted domestic scientists to concoct recipes featuring their products. United Fruit just did it very very well. Ham banana rolls were introduced in 1941 (I think!) and featured a couple of food trends of the time. Firstly, white sauces! In the first part of the 20th Century, starvation or at least the fear of it was very real. Food supplies were dependent on mostly local purveyors while the financial collapse of the 1930s meant people actually starved. Paramount to food educators was increasing the total caloric intake of workers. (How different we are today!) The solution to boosting the Kcal of any and every dish is slathering it with a flour-based cream sauce or better yet, cream and cheese sauce! Sliced ham was a cheap protein and bananas were the star of the recipe, and voila! Ham banana rolls. The actual recipe has its roots in Pacific island cooking where pork served with plantains is found. It also pays to remember that just because these recipes appeared in an advertising cookbook, doesn’t mean that they tasted good or people adopted them! For every successful Green Bean Casserole (invented by Campbell’s Soups) there is a stinker of a recipe; those are the ones that tend to bring us a laugh. EB: Is there a particular food that in your mind typifies the role of advertising and advertising psychology in developing our tastes. Do you have a favorite example? CW: Orange juice! It’s about 100 years from its introduction to the national markets via advertising and how many generations consider it a morning staple. Why? Sunkist, a company that began as a consortium of Florida orange growers, worked very hard to create advertising that touted the health benefits of drinking the juice of oranges. Why not eat the whole orange? Because it was cheaper to extract the juice and can it than the cost of shipping fresh oranges. EB: Why are we so easily manipulated by advertising, do you think? CW: Advertisers were the first to adopt and adapt the new-fangled psychological theories of the early 1900s—the ideas of subconscious and motivation—that could not just make a product stand out but create actual demand. There is something about the human psyche that wants to want. Advertisers play upon that aspirational need. EB: I was struck by the wonderful images in the book. Where did you find them all? CW: So many cookbooks! I’m a collector, and I was lucky enough to inherit my mother-in-law’s pristine collection of advertising cookbooks. She didn’t keep them as a collection per se, but as a Depression-era housewife hung on and used those cookbooks throughout her life. I’m even luckier in that she kept them in meticulous condition. These are, with a few exceptions, printed on flimsy paper with cheap inks and processing. They were intended to be used and not really kept for over 70 years. Those formed the bulk of the images in the book. I have a few friends who share my fervor for advertising cookbooks who lent some gems for scanning. EB: You have a collection of cookbooks. Can you tell us about that? 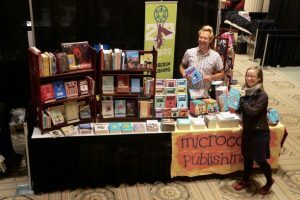 CW: Cookbook collectors are sub-species of bibliomaniacs! I collect them first and foremost because I love them. But deeper than that, cookbooks are history. The story of what we eat and why is fascinating and informed by so many different events; cookbooks reflect an ideal self, that one cook’s vision of a perfect America in each and every volume. EB: What was the most surprising thing you learned about food and marketing? CW: The most surprising thing would be how short our cultural memory is. Recipes that many folks think were invented by grandma came from an advertising cookbook. Interestingly, recipes in and of themselves cannot be legally copyrighted, so publishers tended to pass along and tweak a core group of recipes. If you look at the bulk of the cooking from the 1930s to the 1970s, before Julia Child brought French techniques back to American kitchens, there is a sameness in most of the dishes. That sameness comes from the standardization of processed ingredients. EB: Where can readers get ahold of your book? 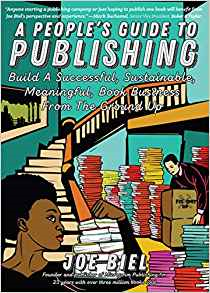 CW: Publisher Process Media is an independent publisher with international distribution, which means that every indie bookseller in the US and Canada can get it for you. Larger shops like Barnes & Noble and of course, Amazon, both stock the book. EB: You’ve also written about canning, fermentation, and dehydration in your 2017 book Preservation. Any future food-related projects on your plate? CW: I still teach classes! It’s fun to lead a group of people in community food preservation projects. I get a great deal of pleasure from seeing people ‘get’ it and then take those new found skills home. As to writing, I’ve got a few new projects, but I’ll hold off talking about them until they’re closer to completion; I’m a bit superstitious that way. CW: Thank you for the opportunity to share my crazy obsession! Sam Anderson is a staff writer for The New York Times Magazine. An award-winning journalist, he has been a book critic for New York Magazine and a regular contributor to Slate. He lives in New York. Boom Town, published in 2018 by Penguin Random House, is his debut novel. Ed Battistella: I really enjoyed Boom Town. You’re an Oregonian, originally, so what prompted you to write a book about Oklahoma City? Sam Anderson: Thanks! You’re right — people often assume only an Oklahoman would write a book about Oklahoma, but I had zero connection to the place. I grew up in Oregon (born in Eugene, college in Ashland) and also Northern California; since then I’ve lived in Louisiana and New York. My interest in Oklahoma didn’t start until 2012, when the New York Times Magazine, where I’m a staff writer, sent me to OKC to write an article about its new basketball team, the Thunder. The team had just made the NBA Finals on the strength of its three very young superstars: Kevin Durant, Russell Westbrook, and James Harden. So I went out to write about the relationship between this small city and its big-time sports team. I’ve been waiting my whole magazine career for a subject to force me to write a book about it — and to my surprise, Oklahoma City turned out to be it. The place swept me away. There was this mixture of epic history and huge personalities and a unique landscape. I spent as much time as I could there, and everywhere I looked the connections and themes and material deepened. It became a magical project that consumed my whole life. EB: After reading the book, Oklahoma City seems like an old friend to me, though I’ve never been there. Was part of your goal to make the city a character itself? SA: I’m glad to hear it. Yes, the goal was to tell the whole story of this city, from the moment of its founding to today. Historically speaking, it’s a ridiculously young city — it was founded in 1889 — so I felt like I could get my arms around that whole history. 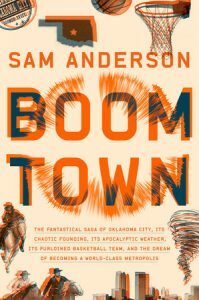 By the end of it, the reader should know the place inside and out — not just the big flashy news events (the 1995 bombing, the rise of the OKC Thunder) but the low times and the boring times. This gives context to what those big flashy news events actually *mean* to the city. EB: You’ve worked most of your career as an essayist and cultural critic. 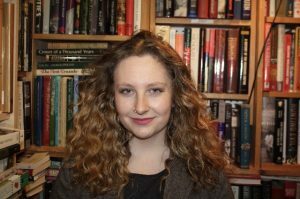 What was the experience like of doing a non-fiction book? SA: It was exhilarating but also very, very hard. As I said before, I’ve been waiting for many years for a book project to come along and sweep me away. All of my writing heroes (John McPhee, Annie Dillard, Janet Malcolm, Joan Didion, et al.) have written great nonfiction books. So I knew I’d tackle one eventually. But it was a slog. I took an 8-month leave from my job at the Times Magazine to try and bang it out — those were very long, strange days: I’d wake up at 5 in the morning and go to my office and write for 8 or 10 or 12 hours. After all those months, I had some of the core parts of the book written — but there were still many years to go. My original deadline was one year. In the end, it took me more than five. There was a lot of agony. But I was lucky to work with a great, great editor at Crown, Kevin Doughten, and the project became a deep collaboration with him. And I’m really proud of the finished product. EB: Basketball and the Oklahoma City Thunder play a part in the recent history of the city—you call it a purloined team. Reading the book, I had the feeling that your book was organized a bit like a basketball game—that you were passing the ball along among interesting topics and characters—Kevin Durant and Russell Westbrook, Gary England, Wayne Coyne, and others. Was that in your mind as a structural device? SA: That’s fascinating. No! I didn’t think about passing a basketball around as a structural device. But that is pretty accurate. The structure was really hard to work out and developed through trial and error over years of writing. I tried to impose various structures (for a short crazy time I thought about organizing it based on the underground architecture of a prairie dog colony) but in the end decided that the book should find its own shape, exactly like OKC did in 1889 — which is to say, it should be a ridiculous pile of chaos that eventually, against the odds, found equilibrium. Which I think is an accurate description of the book. EB: One of the themes of the book seemed to me to be the idea of process—in characters like Sam Presti and Angelo Scott. You seem to be portraying Oklahoma City as the tension between orderly process and booming exuberance. SA: Yep, you got it. From the moment of its conception, the place has been on the brink of spiraling out of control. And there have been these key figures who have stepped in, at crucial moments, as master organizers and held everything together. Presti with basketball, Angelo Scott as a settler who kept the place from exploding into civil war, Clara Luper as a Civil Rights hero who integrated downtown. My goal was always to find those master organizers and show them battling the chaos of their moment. Then of course the city would produce some other kind of chaos that had to be overcome, and someone else would have to step in to deal with it. EB: Can you tell us about the title? The book seems to resonate with booms, literal and metaphoric. SA: Yes — the place started as a literal “boom town,” a patch of prairie suddenly overrun with people looking to make a fortune. Since then it has bounced up and down on the boom and bust economy of the energy industry. It gets rich overnight, then poor overnight. So the notion of a “boom” runs through the history of the place, literally and metaphorically, in important ways and trivial ways. Russell Westbrook, the basketball star, used to scream “BOOM!” every time he made a three-pointer. And that’s all before we get to the defining trauma of OKC: the 1995 bombing of the federal building in the middle of downtown, an explosion that killed 168 people and scarred just about everyone in the city for generations. EB: What surprised you the most in doing the research? SA: There is a section of the book called “Operation Bongo” that contains the most surprising research discovery I’ve ever made, or (I’m convinced) ever will make. I won’t spoil it here, but it’s a bizarre connection between Seattle and Oklahoma City from the 1960s — it seems to foreshadow OKC taking Seattle’s basketball team 40 years later. It’s like a Borges story. My jaw dropped. I couldn’t have invented it if I tried. EB: Any plans to take on another city? SA: Nope. I’m happy having done this one city. Now I’m back to writing magazine articles, waiting for the spirit to move me for my next book project. If it’s another city, I guess I’ll have to write about another city. EB: Thanks for talking with us. I really loved the book. South Dakota native Clive Rosengren is a veteran actor with stage, screen and television credits that include the Great Lakes Shakespeare Festival, Ed Wood, Twin Peaks, and Cheers. 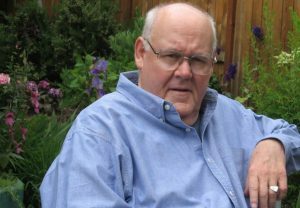 He is the author of four novels featuring actor/private investigator Eddie Collins: Murder Unscripted, Red Desert, Velvet on a Tuesday Afternoon, and most recently Martini Shot. Sharon Dean grew up in Chelmsford, Massachusetts, received a PhD from the University of New Hampshire, taught at Rivier University in Nashua, New Hampshire. Having written four academic books as a professor, she has reinventing herself as a writer of mystery novels. 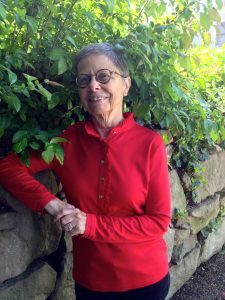 Her thought provoking whodunits featuring literature professor Susan Warner include Tour de Trace, Death of the Keynote Speaker, and Cemetery Wine. 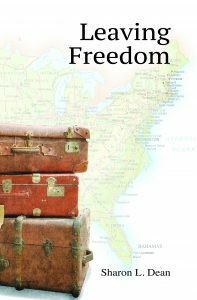 Her most recent book is Leaving Freedom, a tale of a writer’s spiritual and personal journey from Massachusetts to Florida to Oregon. Clive and Sharon are members of a writing group in Ashland. Literary Ashland asked them to interrogate each other about their work and writing process. Enjoy this innovative double interview. Sharon Dean: Clive, how did your background as an actor benefit your writing? Were there any habits you had to overcome? Clive Rosengren: One of the characteristics of the novels I’ve tried to accomplish is to have Eddie with one foot in the PI business and the other foot in the Film/TV business. So having spent 18 years in Hollywood in and around lots of sets gives me the opportunity to rely on personal experience. Habits? Trying to keep from being too cynical about the whole Hollywood circus. Sharon: You situate Eddie so well in a Hollywood you know. Have you ever thought of bringing him into rural South Dakota where you grew up? What kind of challenge would that present? 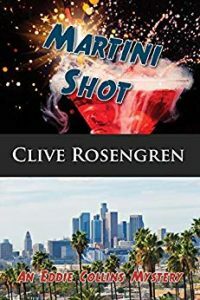 Clive: As a California licensed private investigator, Eddie Collins wouldn’t be able to ply his trade in another state, but would have to be considered an amateur sleuth. I don’t see him going that route, at least for now. And except for some cousins, I don’t really have ties to South Dakota anymore. However, back in October, the recovering actor in me fell off the wagon and worked on a small, independent film project up at Hyatt Lake in the mountains above Ashland. While there, the germ of an idea popped into my head that would find Eddie—possibly as a favor to a director friend?—participating in a small film, during which something happens that would lure him into the need for a PI, and take him out of the confines of Los Angeles. Stay tuned. Sharon: What’s the easiest part of writing for you? The hardest? Clive: Easiest part? Dialogue, without a doubt. Hardest? Hmmm…probably forging a plot. Sharon: What motivates you to keep writing in an era when so many good novels like yours don’t get the notice they deserve? Clive: Well, first of all, thank you for the generous comment. Since the creative urge of my acting career has become almost a rumor, I’ve found it necessary and enjoyable to fulfill it with the writing. I didn’t venture into this arena with the intent of making a lot of money or becoming a best seller, but what keeps me motivated is a character I like (and am still learning more about) that I can put into the entertainment business which I’ve essentially left behind. Clive Rosengren: Sharon, your first three novels dabbled in crime and mayhem, so what made you want to stray from that milieu in your fourth book? Sharon Dean: Leaving Freedom bridges the gap from my academic career to my foray into fiction. I wanted to write something like it before I got caught up in my Susan Warner mysteries. My scholarship involved writer Constance Fenimore Woolson, who traveled from Ohio to Florida to Venice as she became one of the leading novelists of the nineteenth century. She had a fraught relationship with her sister and was a caregiver to her mother. I wanted to use these relationships to create a novel. When I started, I thought I might have my character Connie to go to Venice and jump out a window onto the pavement by a canal as Woolson did. But this felt too extreme. So I decided to bring my character to Oregon, especially to Ashland with a side trip to Rajneeshpuram. It was time for me to write about places beyond New England. Woolson, by the way, also generated my idea for Death of the Keynote Speaker. Clive: In the book you’re working on now, you’ve gotten back on the path of murder and mayhem. Your protagonist in this book is a librarian. Any thoughts of embarking on another series with this character? Sharon: Yes. Three, possibly four, books in this series. As a librarian my character, Deborah Strong, can move around. She’s in New Hampshire right now and will have to be in places that I know well. I’m thinking some kind of library retreat, still in New Hampshire–a locked room setting similar to what I did in Death of the Keynote Speaker; New Orleans where her friend Rachel lives and which I know from when my son lived there; Ashland, which I know better and better every day. A series will evolve as it will. Clive: Do you do a detailed background on your characters? Or do you pattern them after people you have known? Sharon: People equate me with my character Susan Warner because she’s a retired English professor. They equate her daughter, Erika, with my daughter. The first name initials don’t help. They share some of our characteristics but they are not models of us. I’m finding that I need an image of a character as a starting point and I often find that image in someone I know or have seen. For my new protagonist, Deborah Strong, I found a model in a candid photo in my daughter’s year book. Right look, right era for the backstory of the novel. There the resemblance stops. The characters take on lives of their own as my novels develop. Clive: As far as you’re concerned, what is the primary benefit of belonging to a writers’ critique group? Is there something about belonging to a writers’ critique group that doesn’t work for you? Sharon: Our writer’s group is exactly what I need to improve my writing. The twenty page submissions every two weeks helps me stay disciplined. We all write different kinds of mysteries: noir, PI, cozy, international thriller. Reading and responding to different styles stretches us. Leaving Freedom branched away from what is technically a mystery genre, and I appreciated how everyone stuck with me through what is the longest novel I’ve written. The group works because we’re honest with each other. I’m pretty tough-skinned, so I always appreciate critiques. A group where people are afraid to criticize or can’t accept criticism would be disastrous for me. Ed Battistella: Thanks to both of you! 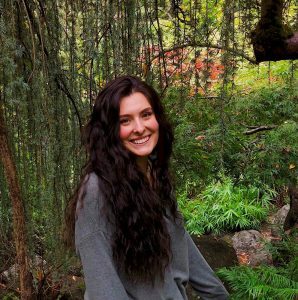 Kayla Bush is a 2013 graduate of Southern Oregon University with degrees in English and Theatre Arts. She taught in China from 2015 – 2016. Kayla Bush: The program I taught in is called EF for English First. It’s an international company with schools in several countries. They have their own teaching books, lesson plans and style already laid out. They are an after school, weekend and summer/winter break type of English school that is an extra addition to a child’s primary schooling. The student range in age as young as 3, up to 18, though the older students are more rare. A family friend had mentioned it to my boyfriend who was looking at working abroad, so he looked into it and found an application online. The application process was simple enough, they required a 4 year degree, but it didn’t have to be in English. They asked for pretty basic information with an attached resume and then it mostly came down to the interview, which was interesting. They send you an excerpt from one of their teaching lessons and ask you to prepare a type of lesson for the interview, which ends up being you pretending your interviewer is a child student, complete roleplay situation. It was a bit awkward and the lesson was out of context, but they give feedback and have you try again adjusting to what advice they gave you. KB: I’ve always loved traveling, so when the opportunity for this job presented itself I saw it as not only a way to travel and see a part of the world I might not normally, but also a good opportunity to see if teaching was something I was actually interested in. KB: There was definitely a level of culture shock involved. I’d traveled before, but never to China. I knew ahead of time what type of things to look out for, but I was exposed to quite a bit on my first day. My visa was delayed so I arrived the week after the rest of my group and was thrown in to house hunting and training almost immediately, whereas the others got a bit of sightseeing and cultural introduction. I settled in pretty quickly overall, but did experience some homesickness. KB: This was probably the most difficult part for me. I realized it was super important to establish ground rules on day one and not to start out too soft, because if I did the kids would just walk all over me and it could be a real challenge to control. Especially because the classes I taught were after school and weekends, so to the students it’s more like a fun extra curricular than mandatory schooling. KB: Not specifically. I have some friends that were exchange students, but we didn’t ever talk much about their English learning process. The program I taught with though had everyone take a week long TEFL course before we started at our schools, so we got some training on what to expect and it was tailored specifically to Chinese students and their tendencies. EB: What was your most surprising experience? KB: Hmmm… most surprising? Probably the fact that I bought a scooter to ride to work when I didn’t take the subway. I loved it, and it was a lot faster, but like the locals I didn’t wear a helmet and in reflection I’m grateful to have not seriously injured myself. It was a great experience though because scooters are a big part of living in Beijing and I feel like I really got a true Chinese city experience by doing it. KB: I wish I knew more about the structure of the program I was teaching in and what is was actually like. The videos they sent out weren’t really an accurate representation of the environment. I also wish I knew more about the Chinese business model, their way of achieving success and the expectations in the workplace. Though where I worked had a lot of Western business influence, there was still a very particular way they wanted you to teach your class, the energy you bring to the room and the way you manage a classroom. There were Open Door class at the end of each course where the parents would watch you teach and see their kids speak English. It’s a fun idea for them to see progress, but they also fill out feedback forms for the teacher. In order to move up and be promoted you have peers watch you teach and give you feedback which they give to the Director of Studies who ultimately decides your score, which affects your pay. It was a really interesting system that I had no idea about going in. EB: How did the experience of teaching abroad influenced your career plans? KB: So far it hasn’t influenced my career plans much, but it has definitely given me something on my resume that every employer wants to talk about. It doesn’t matter what field the job is in, employers want to know about the experience and what you’ve taken from the experience in terms of cultural awareness, adaptation, diversity and understanding. It’s been a really great tool for me in that regard. EB: Were you able to learn much Chinese? Had you studied Chinese before? KB: I had a friend who lived in Beijing previously and she taught me some key phrases. Otherwise, I didn’t know any Chinese. I’d studied Japanese in school, so I could read a few choice words, but it didn’t help me at all in speaking or listening. Ultimately I didn’t learn as much of the language as I could have, being in an English teaching environment, most of the Chinese local teachers wanted to practice English, my expat friends spoke English and we were told to only speak English in the classroom to create a fully immersive environment. So if you really want to learn the language you have to hire a Chinese tutor and spend the time and money really learning it. Some of the local teachers will agree to be a language partner, but that can be difficult to arrange. I learned enough to travel, eat, get directions and haggle, which was pretty good. I didn’t end up hiring a tutor, but I had friends who did and they learned a lot. KB: Do it if you can. Don’t believe the stereotypes about how the children of that culture are going to act, because it’s probably not accurate. And really do your research about where you want to go. Make sure it’s a country you will enjoy being in, and a program that makes the process easy for you to get there and live there. Kayla Rapet, 2012 graduate in English, received her Master’s degree in education in 2015. She is the Minority Outreach Programs Navigator for the SOU School of Education. 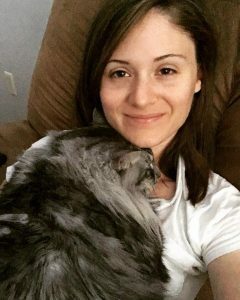 Kayla Rapet: My husband and I taught at Avalon Academy in South Korea. We went through Adventure Teaching–a group we would highly recommend. They guided us through each step of the process so that we knew exactly what we were doing from the first day we applied to the day we landed at Busan National Airport. KR: Well, I learned that I could travel, gain invaluable teaching experience, and earn a salary generous enough to put a dent in my college debt; it’s just such an enticing opportunity. I can see why it’s becoming so popular. KR: I did. It was subtle, to be honest, but it was present. In fact, I didn’t actually realize that I’d experienced it until I returned home to Oregon. Once I got back into my groove, I remembered what vitality felt like. The thing about culture shock is that it can be really sneaky. For me, everything about my life abroad required effort. I spent so much time processing information that I was constantly worn out. The little everyday things that I took for granted in the U.S. became magnified in a foreign environment. From processing language on street signs and menus to adapting to a new food culture (and thinking about how to communicate clearly and respectfully to strangers, interpreting social experiences with my boss and colleagues, setting up and managing bank accounts, finding clothes in my size, paying bills, grocery shopping, and so much more), you name it–it all required double the energy. KR: Being in a hagwon, an academy, is a bit different from mainstream public education. My class sizes were small; sometimes I had classes with only one student. Most of my students came from affluent backgrounds, had parents with high expectations for academic achievement, and had ten to twelve hour days between school, music lessons, English academy, and any other extracurricular activities they were involved in. I found that my students had a lot in common, including their skill levels (as students were placed in courses based on their language needs rather than their ages), which made scaffolding a nearly seamless process. Overall, my classes were wonderful. My students were curious, silly, witty, endearing, and sometimes even a bit mischievous. I felt pretty lucky to work at Avalon with my particular group of kids and colleagues. KR: I really didn’t. I had volunteered in an ESL classroom for a few weeks as part of my practicum, but that was about it. My husband and I started an online TEFL program before leaving for Korea. We were able to complete the 300-hour training over a couple of months. The program was really pretty affordable and I felt that I was able to use a lot of what I learned. That’s something else I’d highly recommend. KR: That would probably the day three business men approached me in the street and asked for a hug. I obliged until they asked me to kiss them. It was really quite strange. That being said, it was such an isolated experience (you asked for the most surprising!). Most favorably, I remember my trip home from our vacation in Seoul. We decided that we wanted to head home on one of the earlier trains, so we asked to switch out our tickets. When the teller said he had a “standing” ticket, I naively thought it meant someone else had cancelled and left the tickets available for next departing train (in retrospect, my interpretation didn’t make a whole lot of sense). I was rudely surprised. We found ourselves literally seatless on the train, standing for five and a half hours. Needless to say, I was extremely put off by the discomfort of it all. So there I sat, grumpy and unappreciative. Eventually I decided to sit on the floor. A few stops later, a team of elderly folks flooded the standing section, squishing me, unapologetically, into a corner. And just as the steam started flowing from my ears, a woman sat down on the floor beside me, smiled kindly, and offered me half of her persimmon. In that tiny moment I was brought back into myself, realizing I had missed the adventure of our adventure. My sense of humor arrived shortly after (and, not surprisingly, I survived). KR: No, I wouldn’t say so. I’m really glad we went when we did. My husband and I (engaged at the time) were only twenty-three when we left for Korea. I think reaching outside of our comfort zones was one of the greatest gifts we could have given ourselves at that age. EB: How did the experience of teaching abroad influence your career plans? KR: Early on, my time in Korea solidified my desire to become a teacher. Then, once I started my graduate studies, those experiences became a reference point that ultimately helped me discover where my strengths and areas of need were. While I did end up changing career paths, I know that, if and when I go back into teaching, my time abroad will provide a solid foundation for further growth. EB: Were you able to learn much Korean? Had you studied it before? KR: I am the worst at learning foreign languages. I’m excited by the dynamics of language, the linguistics and the grammar of it all, but my command of any second language I’ve ever studied is pitiful, quite frankly. With the help of a tutor, I was able to learn just enough survival Korean to make everyday life a bit easier. I highly recommend that anyone living abroad learn the primary language of the country in which they live. If you happen to struggle with foreign languages like I do, my best advice is to stumble through it with the best sense of humor that you can muster. KR: If you do decide to teach abroad, ask lots of questions before you go, while you’re there, and when you return home. Let your curiosity be your guide– and you will never cease to be surprised.